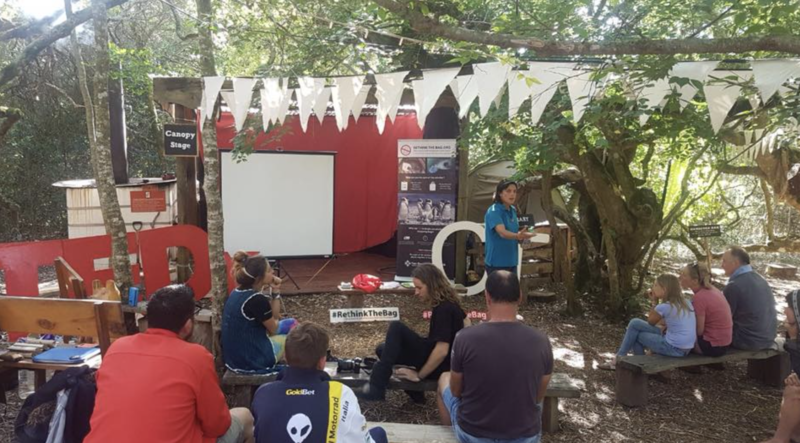 The Mission: 1) Host past TEDxCapeTown speakers on stage to share their ‘ideas worth spreading’ to an audience of like-minded, earth conscious festival goers. 2) Encourage interaction and dialogue between the audience and speakers. Every year, Greenpop - in partnership with the Platbos Forest Reserve - brings people together in the Platbos Forest to plant thousands of trees, dance to live local bands, learn from sustainability leaders, camp under the stars, and be inspired by collective action. #ReforestFest is Africa’s largest annual reforestation festival, and this year an impressive total of 8300 trees were planted over the Family and Friends Weekend. A huge thank you and moment of gratitude to Greenpop, for hosting such a beautiful festival and for inviting the TEDx Team to run an activation in the breathtaking canopy of the Platbos Forest. Gabriella Geffen: If Our Deepest Drives Shape the World, How do we Reshape It?